This product does not contain external power supply, you can use the notebook power. 3. 19V power supply is much more than 12V power supply. 1. This HIFI do not have a direct power supply for power and can be connected with the notebook for power, but with plug for 5.5*2.1mm. 2. Must be first well-connected the power port and the HIFI power port and then power on the power supply of the computer or notebook. 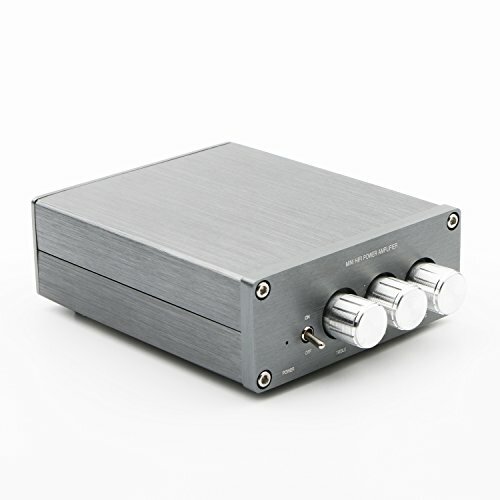 SMALL AND COMPACT DESIGNED: you can use this mini amplifier at home, or in the car, it will satisfy all your hearing needs. No more hesitation, just get one. EXCELLENT BUILD QUALITY: for shell technology, it is made of aluminum alloy which makes this little amp more strong and avoid being broken. If you have any questions about this product by SWHMC, contact us by completing and submitting the form below. If you are looking for a specif part number, please include it with your message.